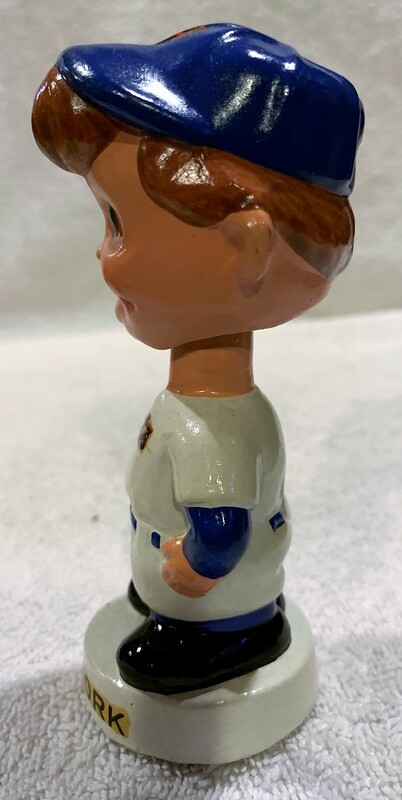 This miniature bobbing head is of the N.Y. Mets. It has nice bright coloring and strong decals. There are no chips or cracks. It's near mint.